Artistic, daring, unique…you’ve never seen anything like Alessi. They may have been manufacturing household goods since the 1920s, but they’re far from old-fashioned. They're about as cutting edge as homewares get, creating everything from toothpick holders to coffee plungers, fruit bowls and pepper mills and everything in between. Chances are, if its colourful or shiny or whimsical, it was borne of an Alessi mind. Hasta la vista…flies. It’s time for you to be terminated! Put on your sunnies and your best German accent and become the Terminator (of flies, anyway) with this Alessi Dr. Skud Flyswatter. Made from flexible plastic, Dr. Skud will thwack flies into oblivion. They won’t be back. 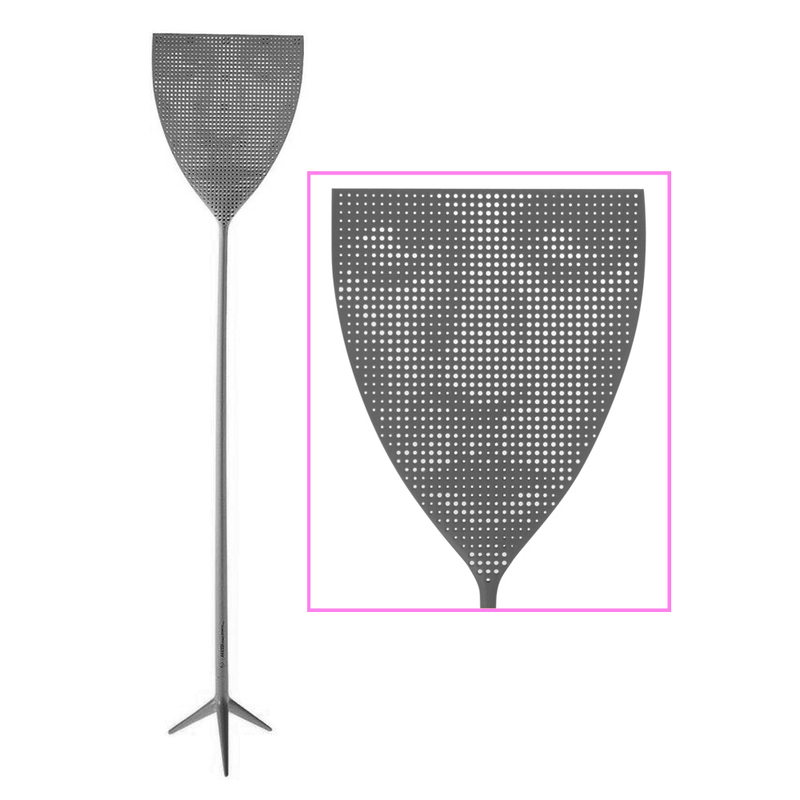 A face, printed on the flyswatter paddle, can only be seen when viewed from a certain angle. Tripod-style base – can be stored upright.